RootsTech has become the time and place for new genealogical announcements and RootsTech 2019 did not disappoint! 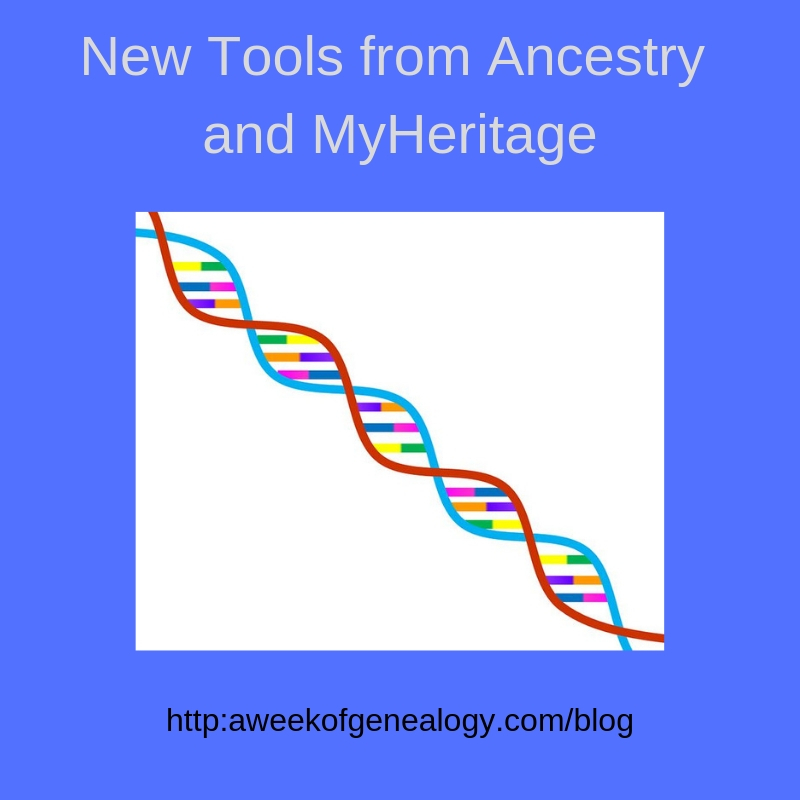 This blog post focuses on new some new tools available from Ancestry and MyHeritage that you need to check out. While there is plenty of buzz about these tools, I recommend that you check in with the experts, then try them yourself. The value of the tools is based on personal preference, so you want to form your own opinion. At the end of the post there is homework to do, but not to turn in! MyTreeTags™: You can add their tags or create custom tags for people’s profiles in your Ancestry tree. There are several categories of tags: Relationships, Research, Reference, DNA and Custom. You can use tags in the search box on the tree itself to find tagged individuals. In the video in the homework section, Crista Cowan has some suggested tags. One is “Never Married” for someone who died young, to remind yourself to not expend effort in a search for descendants. Other tags can be used so that you have reminders about where you are in your research. New & Improved DNA Matches: You can now use color coding and custom labeling on your DNA matches. For example, you can choose colors to designate groups of matches based on the common ancestor. This is a convenient way to be able to recognize and filter (sort) the matches. ThruLines™: You can view your the matches and potential links. This tool goes beyond the DNA matches to check user-submitted family trees to generate potential ancestors. I found this a very useful tool to visualize how a group of DNA matches are connected to me and each other. Since this tool can show user-submitted family tree data, remember to use these lines as hints and verify the connections that are shown before adding them to your tree. MyHeritage came out with new DNA tools to help users leverage and visualize their DNA data. Auto Cluster, which is reached from the DNA menu -> Tools, then choose AutoClusters. This tool groups matches together visually, using different colors. Since this may take a long time, click on the “Generate” button and you will be emailed a zip file containing the AutoCluster Report when it is completed. Inside the zip file is a Read Me file, an Excel spreadsheet, and an html document that will display the clusters. The Read Me document is personalized, showing the range of cMs included in the clustering, and which matches were excluded (and why). This is a tool to bridge the gap between DNA and paper records. The theories of relativity are built using trees in MyHeritage trees, Geni and Family Search and combining them with records. If you have any theories, a banner appears at the top of your matches. Here’s another feature while looking at your DNA matches. Under estimated relationships where you see something like “3 -5 cousin” click on the question mark (?) to open an Estimated Relationship Details chart where the shared boxes where showing which are the potential relationships. Note: I was able to access AutoCluster tool, but that may be during a trial period. I did not have any theories. For each company, I have posted links to a description in of the new tools at the company’s blog, and a video describing the tool. I recommend you try these things after reading them. After you have some familiarity with the tools, you can look at the plethora of how-to’s and discussions of the key features. Read about ThruLines™ and MyTreeTags in the Ancestry blog here. To learn about Ancestry’s MyTreeTags and New & Improved DNA Matching watch Crista Cowan’s video “What You Don’t Know about Ancestry” here. Crista Cowan explains ThruLines in “Introducing ThruLines™ | Ancestry”. To learn about MyHeritage’s new DNA tools, read their blog post about Theory of Family Relativity here. Check out these new tools and let me know how you do!